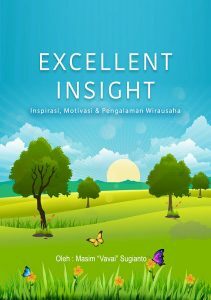 Yap, memang keren, karena harganya pun keren. Beberapa bulan yang lalu saya sempat membeli 3 buah Infiniband card di ebay. Infiniband ini memiliki kecepatan rendah, yaitu 10 GB/s . 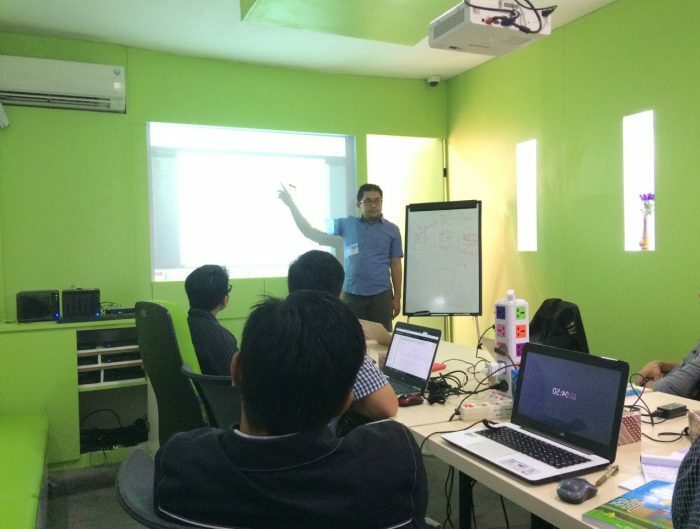 Meski rendah, cukuplah untuk testing home lab di markas Excellent DJ. Karena driver default dari vSphere tidak mengenali Infiniband card ini, saya perlu memasukkan drivernya agar bisa dikenali. 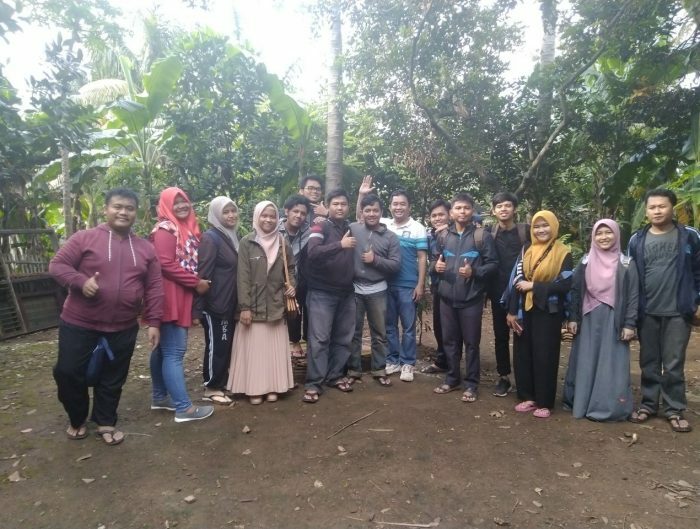 Terkait hal ini, saya bertemu dengan konsep VIB dan penggunaannya di vSphere. 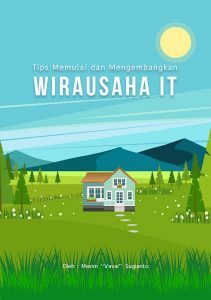 Sebenarnya sih pernah ketemu juga sewaktu awal-awal belajar vSphere, yaitu saat menggunakan vSphere Customizer untuk memodifikasi file ISO installer vSphere agar turut memasukkan driver yang diinginkan. 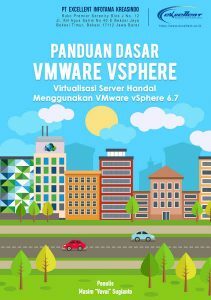 VIB pada dasarnya adalah package untuk ESXi/vSphere engine. Istilah VMware, A VIB is an ESXi software package. VMware and its partners package solutions, drivers, CIM providers, and applications that extend the ESXi platform as VIBs. VIBs are available in software depots. You can use VIBs to create and customize ISO images or to upgrade ESXi hosts by installing VIBs asynchronously onto the hosts. The VMwareCertified acceptance level has the most stringent requirements. VIBs with this level go through thorough testing fully equivalent to VMware in-house Quality Assurance testing for the same technology. Today, only IOVP drivers are published at this level. VMware takes support calls for VIBs with this acceptance level. VIBs with this acceptance level go through verification testing, but the tests do not fully test every function of the software. The partner runs the tests and VMware verifies the result. Today, CIM providers and PSA plugins are among the VIBs published at this level. VMware directs support calls for VIBs with this acceptance level to the partner’s support organization. 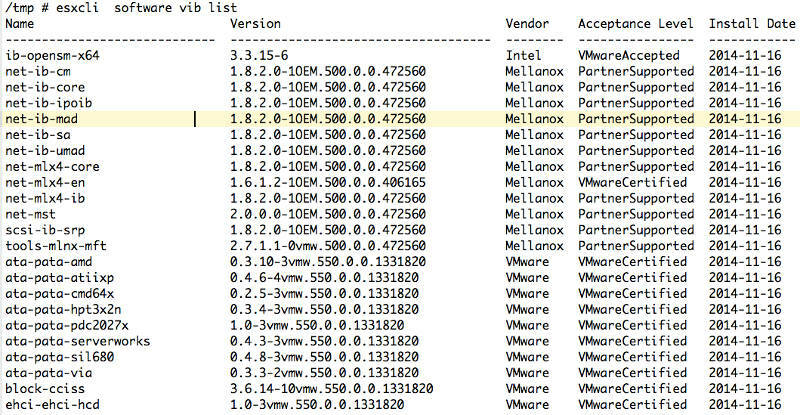 VIBs with the PartnerSupported acceptance level are published by a partner that VMware trusts. The partner performs all testing. VMware does not verify the results. This level is used for a new or nonmainstream technology that partners want to enable for VMware systems. 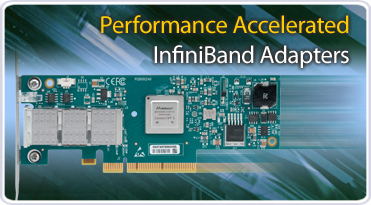 Today, driver VIB technologies such as Infiniband, ATAoE, and SSD are at this level with nonstandard hardware drivers. VMware directs support calls for VIBs with this acceptance level to the partner’s support organization. 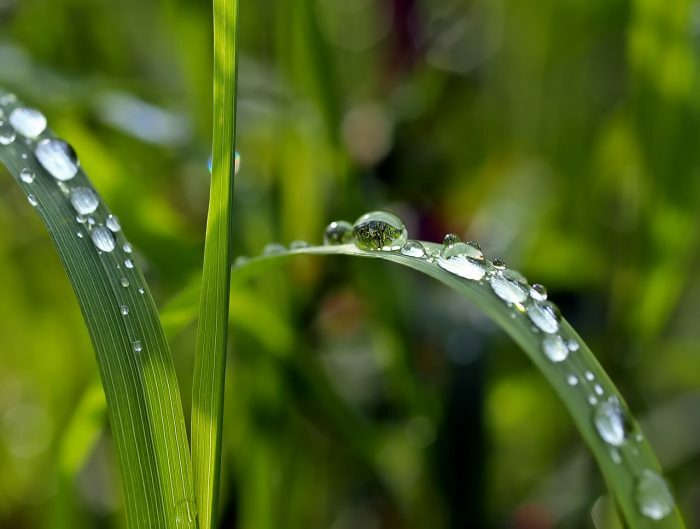 The Community Supported acceptance level is for VIBs created by individuals or companies outside of VMware partner programs. VIBs at this level have not gone through any VMware-approved testing program and are not supported by VMware Technical Support or by a VMware partner. 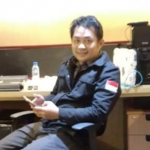 Meski terlihat mesti “ngoprek”, perintah-perintah terhadap VIB tidak terlalu sulit untuk dipelajari dan bermanfaat jika suatu waktu ada network card atau storage yang tidak dikenali secara langsung oleh VMware vSphere.